We have grown distribution in to 19 new countries, bringing the total to 71 individual country distributors. We have added 121 Certified Detailers globally, bringing the total to 279 worldwide. The Gyeon Quartz websites have been completely redesigned and translated in to their country specific languages. Each Gyeon product’s User Manual has been updated and improved. There are new Dispenser Pumps for the full Shampoo Range (We’ll talk about these in the Q2M Bathe Essence How To write up). 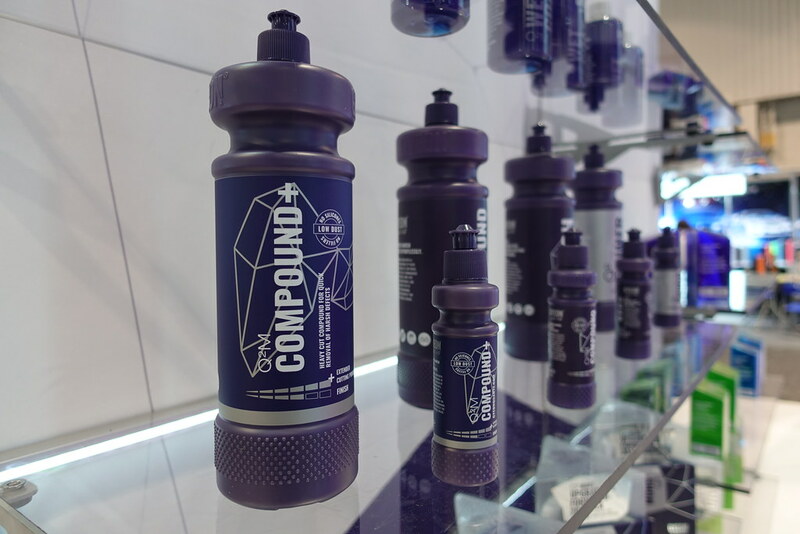 The Q2 Coating Bottles have been completely redesigned with a frost finish and no more labels, but the info printed directly on the bottles. New Packaging, Products, and Structure for the entire Q2 Product Range. For this article we will discuss the Enthusiast and Professional categories and how to know which one is right for you. The Enthusiast category will consist of Q2 CanCoat, of which we are already familiar, and the all new Q2 One. This category is designed specifically for the person who is comfortable installing a wax or sealant, is interested in coating technology, however has not yet made the leap in to installing a coating on their vehicle. Both products in the Enthusiast category are designed to be installed in a single layer. Ease of installation is a major goal. These 2 coatings are very easy to work with, without long or tricky flash times. Simply apply and remove. You can get the durability, protection, and looks of a coating with the ease of install of a wax or sealant. Q2 CanCoat is a fantastic, versatile, and easy to use product. The value is hard to beat for 200ml of a true SiO2 Coating that can be used on any exterior surface of the car. Q2 One is a more substantial coating. It applies thick on to the surface, is easily removed, and delivers a ton of gloss and protection. Q2 One is of a higher concentration of SiO2 content than Q2 CanCoat to deliver a bit more durability and protection. I would put the two equal in terms of very high gloss and water beading. The Professional Category will consist of Q2 Pure, Q2 Mohs, and Q2 SYNCRO. This category is designed for the experienced and skilled coating installer who is comfortable applying a long term, multi year coating, in multiple layers. 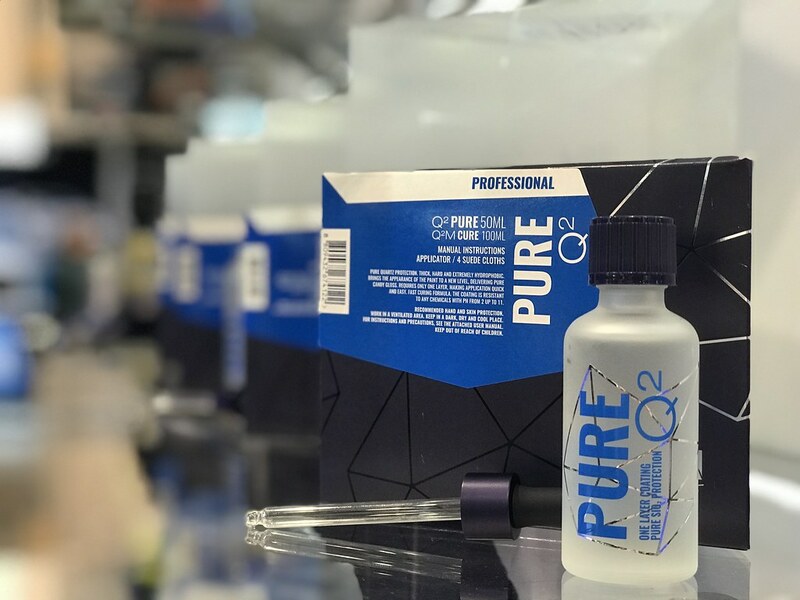 Q2 Pure is a completely redesigned, pure and highly concentrated SiO2 based coating. It is easier to install than Q2 Prime. It performs very well against water spots. It is designed to be installed in a single layer, however it can be layered for added durability. It has a very distinct, warm, and deep gloss. If you like the dramatic “candy” bend of light from a coating, then this is the one for you. It will sit at the same skill level and price point as Q2 Mohs. 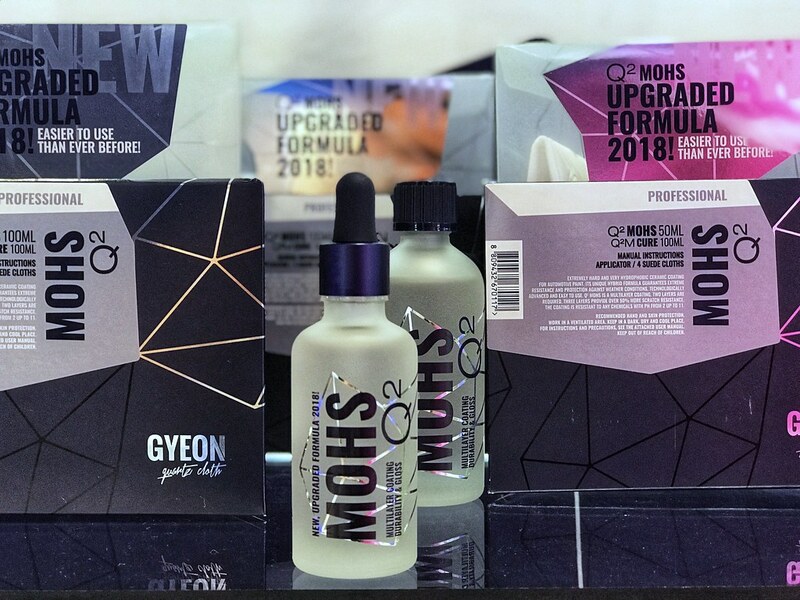 Q2 Mohs is the longstanding workhorse of the GYEON Quartz line up. It is an extremely easy to use PHPS based coating that uses a very high quality mix of solvents and silazanes. Q2 Mohs is very capable in terms of chemical and UV protection. The carrier solvents have been slightly tweaked for 2018 to make the install even easier. The rest of the coatings construction and core components have stayed the same. Where Q2 Mohs really is a breakthrough is the low shrink rate once fully cured. This leaves a thick layer of protection over the paint, which is awesome as a stand alone coating, or can be topped with Booster, CanCoat ……..or Skin as a part of the all new Syncro system. 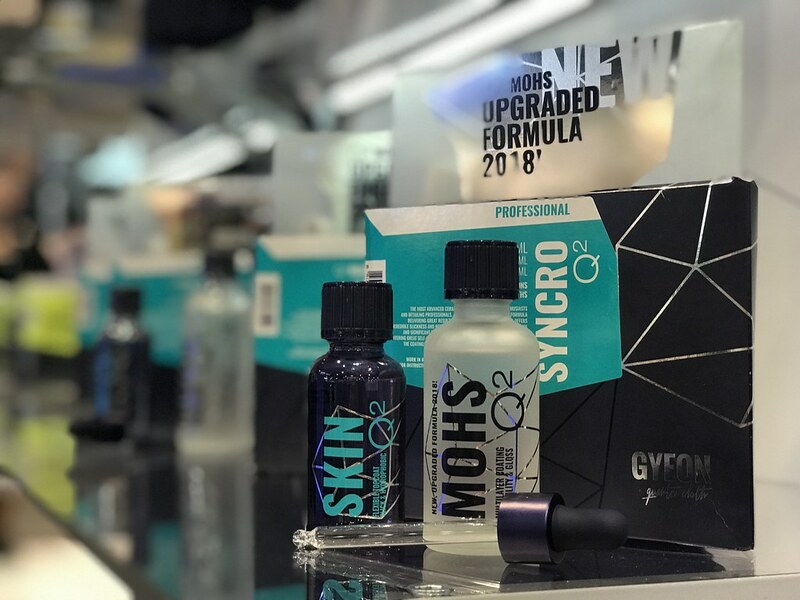 Q2 Syncro is a brand new coating from GYEON using 2 layers of Q2 Mohs as the base coating to be topped with the all new Skin. Syncro is the first 2 part coating system with separate base coat/top coat chemistry available to all Detailers. SKIN is a silicone based top coat designed for maximum slickness. It builds up a true additional layer of coating. It is fully chemical resistant. It is very easy to apply. Q2 Syncro is the top tier coating available to all Detailers with excellent looks and performance. If you are a Gyeon Certified Detailer, you will be hearing more about some great additions. If you are interested in becoming a Certified Detailer, feel free to contact Gyeon USA directly! I think the new Bathe Essence is the most anticipated product in the Q2M category. Yes, we were all thinking a 4L denomination of Bathe would land. 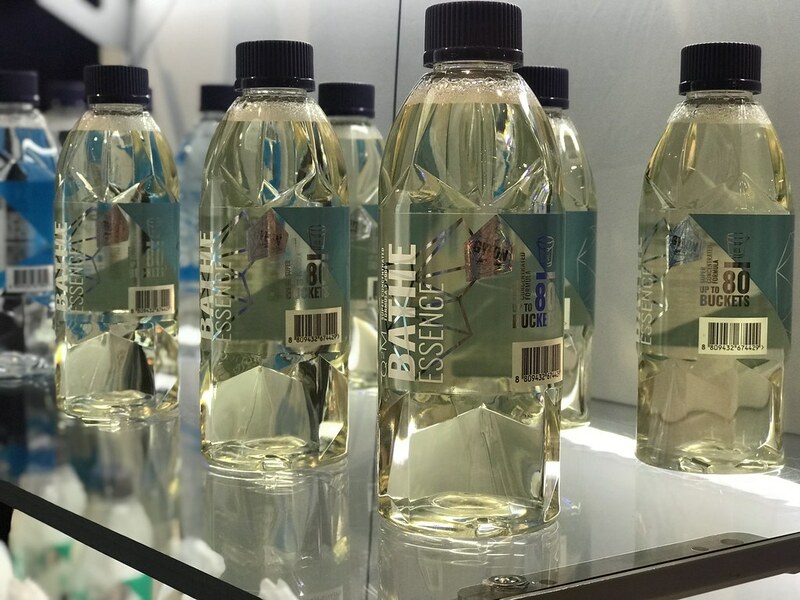 GYEON chose instead to concentrate Bathe in to an extremely powerful shampoo that can be easily used in a 4 gal wash bucket through the dispenser pump to deliver stout cleaning power over, and over, and over, and over, and over, and over again. I am very impressed with Bathe Essence. This product came in to existence after the markets response to Q2M Compound not having quite enough bite. Q2M Compound+ solves that problem nicely. It is still water based, low dusting, silicon free, with no fillers. It is a very honest polish that performs equally well with a DA or Rotary. 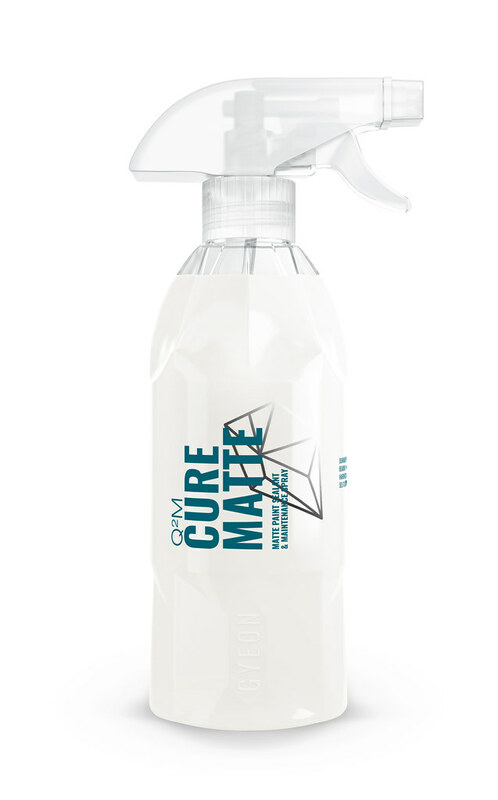 If you have tried the Q2 Matte coating, you know it included a 100 ml bottle of Cure Matte. This is a similar maintenance spray as the traditional Q2M Cure, however it will not add gloss to your matte or satin finish. 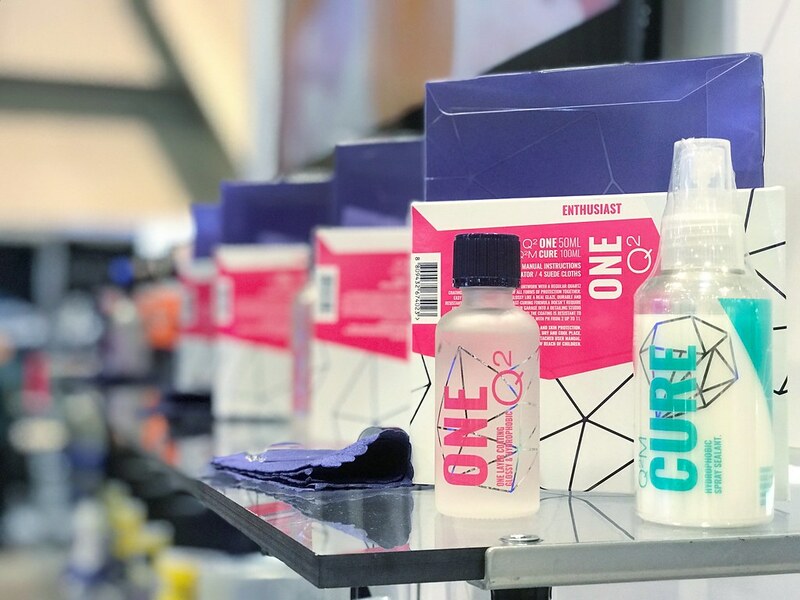 We received a very high demand for Cure Matte in a 400 ml size as a stand alone product and here it is. So, if you want to protect your matte or sating finish without stepping all the way in to a coating this is the answer. That is the meat of the changes for 2018! I will have full How To Articles up for these shortly, so you can really dive in to the process. Enjoy and thank you for reading!! Thanks Jeff Gyeon products are truly amazing especially can coat. Great explanation Jeff. Syncro is on its way so I get to try that out. Lookin forward to trying Pure and One at some point as well. CanCoat is awesome. This a great line up for the new year! Really looking forward to the new coatings and hopefully joining the Certified Detailer Program. do you have professional certified detailers near 33071 ? I am putting Gyeon Mohs on my Harley-Davidson motorcycle and looks awesome. Can I put Gyeon on the exhaust. I would like to but sure if it can take the heat. 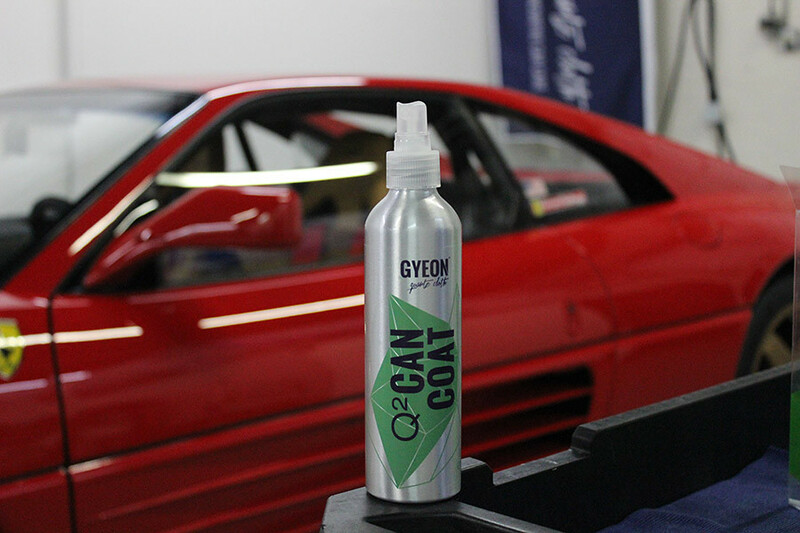 Can you apply Gyeon Q2 One over Can Coat if that is already on your car? I have Can Coat on my vehicle now. I am happy with it and layer about 2 times a year. If I wanted to try Q2 One do I need to strip off the Can Coat and if so how? Or can I layer Q2 One over can coat after a dose of Q2Prep?